The minute we hear the word “healthy” or “Ayurvedic” it conjures up images of bland or tasteless food in our minds. 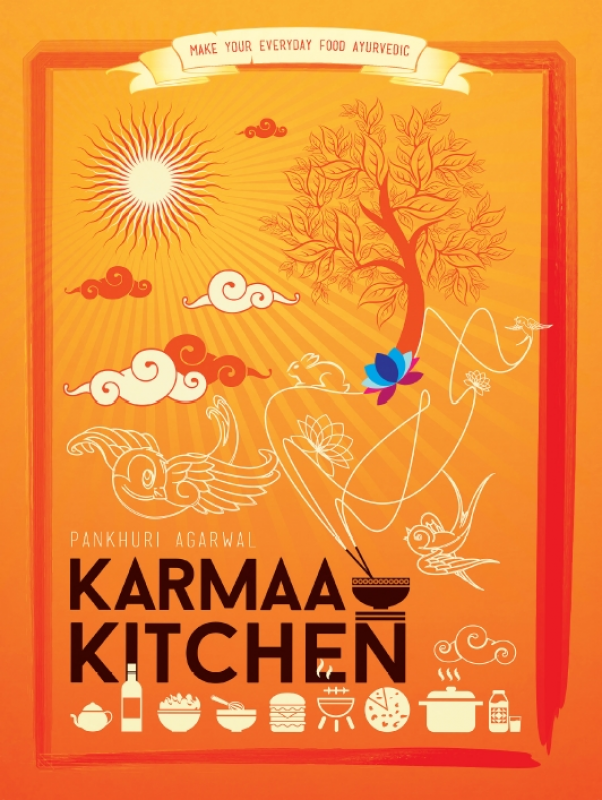 Karmaa Kitchen is a book that will break these ideas and notions and take you through a gastronomically delightful journey of Ayurveda, seasons, health, cooking and above all delicious eating. Pankhuri Agarwal is a 28 year old alternate therapist from Chennai, India. Her practice of ten years spans many different cultures and countries like India, Sweden, Turkey and England to name a few. Hypnotherapy, Divination, Crystal Healing and Reiki are a few forms of the many healing modalities that she practices. She has degrees of B.Sc. Electronic Media, MBA Hospital Management and M. Sc. Psychology. She is now focusing on developing healthier recipes and healing procedures for faster healing and for prevention of disease.